Art Junkies Tattoo Studio : Tattoos : Body Part Arm : Realistic black and gray girl with gun portrait tattoo. Scott Grosjean Art Junkies Tattoo. 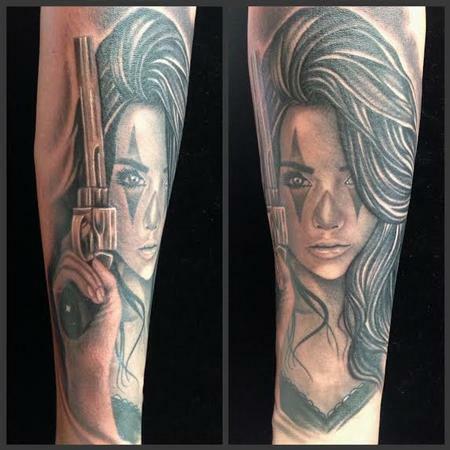 Realistic black and gray girl with gun portrait tattoo. Scott Grosjean Art Junkies Tattoo. Portrait Scott did a few weeks ago.